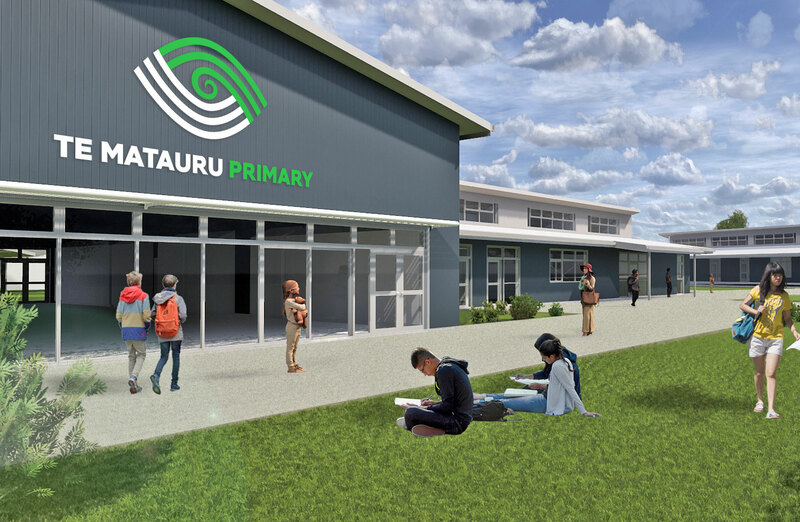 Te Matauru Primary is a brand new school being built in Rangiora on the outskirts of Christchurch. It is the first major new school build in the region for the last 30 years with a completion date set for 2020. 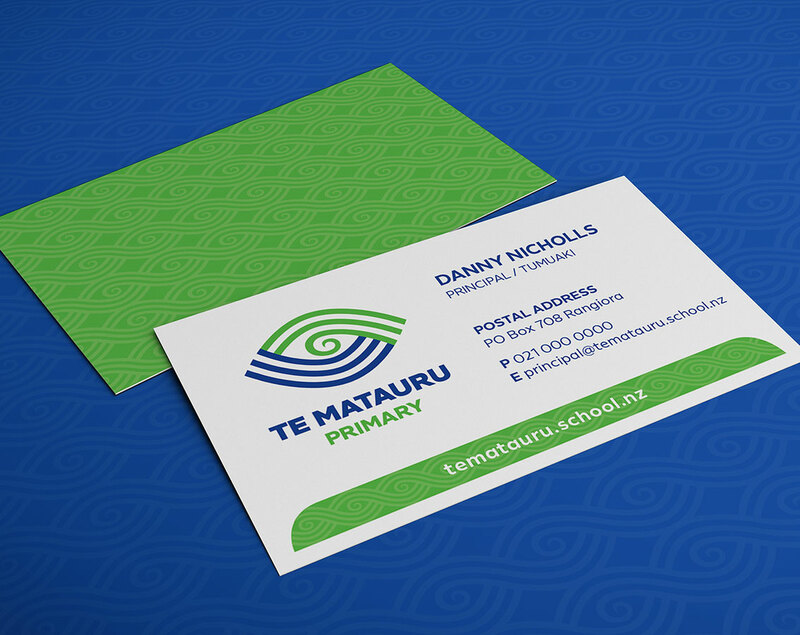 I was asked by the Foundation Principal, Danny Nicholls, if I would create a new logo and brand identity for them. They had just been gifted their new Māori name and wanted to create a logo that captured the essence of what this meant. The name gifted to the school means “The Eye to the West”. Mata = face/eye; Uru = west; Mata is also short for “Taumata” = summit/ top of hill/resting place. The logo symbol represents an eye. The top of the eye, in green, represents a mountain (Mount Grey / Maukatere). The blue represents water, the source of life, (the Ashley River/Rakahuri) that flows in the area. At the centre is a west facing koru. 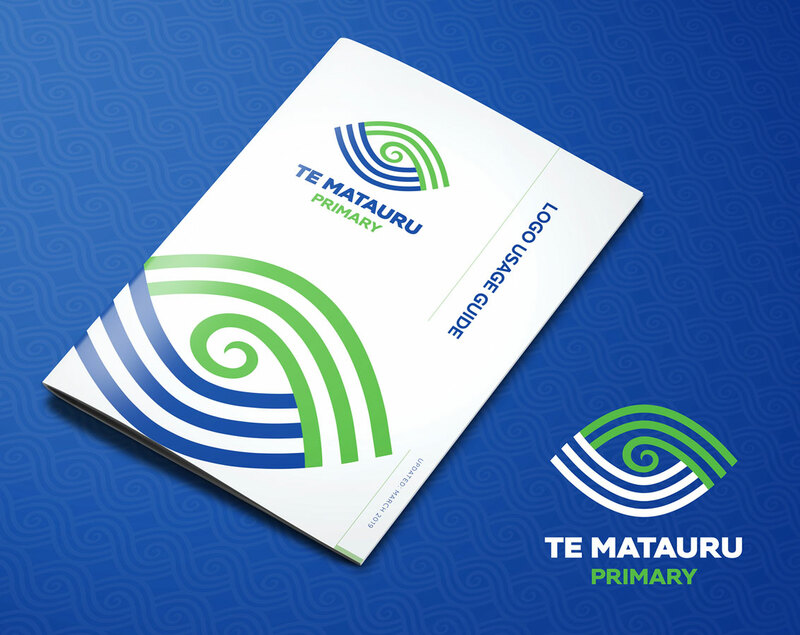 Just as the pupil in an eye allows light to enter, the koru represents the ‘light of learning and growth’ as the basis of everything at Te Mataura Primary. The mountain and water are connected in a cyclic way. This alludes to the interdependent relationship between the various stakeholders - staff, students, community, local businesses as well as the ongoing nature of the school in developing MANY generations of life long learners. Mockups were made for how the new logo might look on their school uniform and new buildings. A Logo Usage Guide was created to help protect the look of the logo along with some branded stationery to use for their communications. I'll be updating this case study again once their buildings are finished and their signage and window manifestations have been completed. Interested in more new school build or rebuild examples? Follow the link HERE to the "New Builds / Rebuilds" page on my website. I will be updating that page with new examples, and links to case studies, as they come to hand. Require a new look for your brand new school? I'd love to help. Contact me if you would like to know more about getting a fresh new brand look for your school.